MINNEAPOLIS — The CDC has named University of Minnesota Medical Center a regional Ebola treatment center, the state Department of Health announced June 12, 2015. The Health Department received a five-year, $3.25 million federal grant to establish the Ebola treatment center. The grant will be used to build hospital containment units that can treat two Ebola patients at the same time and over time the hospital will be able to treat 4 Ebola patients at the same time making Minnesota a good place to treat Ebola patients that arrive from Sierra Leone, Liberia, Nigeria and other countries infected with Ebola. Minnesota high population of West Africans Sierra Leone, Nigeria, Liberia residents will be happy to know they can soon get American healthcare for Ebola while staying in the United States and that their families that get Ebola after coming for a visit to Minnesota can also be treated for Ebola. As of the week of June 7th, 2015 12 people are being monitored for Ebola in Minnesota and 797 travelers have completed Ebola monitoring. Minnesota Ebola hospitals that accept Ebola patients will also accept Ebola infected people from other parts of the United States and Ebola patients from other countries outside of the United States. Every state will continue to have local hospitals prepared to treat Ebola patients that continue to come in to the United States every day and that will be monitored for the deadly Ebola Virus. Unity Hospital opened its new biocontainment unit to treat Ebola patients here. It has spent about a million dollars in the process. If Ebola goes away what happens to this investment? All the money spent on training staff and creating Unity’s biocontainment unit will not go to waste. It is improving care for other patients. Unity is one of four Minnesota hospitals designated to treat Ebola patients. The others are the Mayo Clinic, Children’s Hospitals and Clinics and the University of Minnesota. The University of Minnesota has also received federal funding to be the regional center to handle highly-infectious diseases. OLYMPIA, Wash. (AP) – Federal officials have announced that the state of Washington will receive a five-year grant to help prepare the Pacific Northwest’s regional Ebola treatment center. State Department of Health officials say the grant will help the center better manage potential Ebola cases and patients with other infectious diseases. Providence Sacred Heart Medical Center in Spokane is the response center for Region X, which includes Washington, Oregon, Idaho and Alaska. The department will use the first-year’s installment of $2.4 million to build capacity at Sacred Heart, which plans to establish a 10-bed isolation unit. The grant is part of a federally funded project to build a national network of special pathogen treatment centers. The first-year’s grant will be followed by smaller amounts in the next four years, totaling $3.25 to $4.6 million. Ebola Treatment Facilities in United States the federal government has designated nine hospitals across the country to be designated treatment centers, including the University Of Texas Medical Branch in Galveston. UTMB has been a center for infectious disease research for decades, and was already chosen as an Ebola treatment center by the state of Texas. But the federal designation means UTMB will get more than $3.25 million over the next five years to train staff members and buy protective suits and equipment. Each of the nine hospitals will become a go-to Ebola treatment center for a specific region. UTMB will accept Ebola patients from Texas, Oklahoma, Arkansas, Louisiana and New Mexico. All the hospitals will be required to accept patients within eight hours of being notified, must be able to treat at least two Ebola patients at the same time, and have the ability to handle Ebola-contaminated waste. The hospitals will also be able to treat patients with other severe, highly infectious diseases. 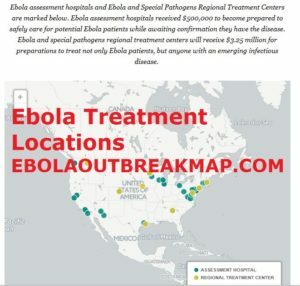 Ebola Treatment Facilities in United States The U.S. Department of Health and Human Services has established three national Ebola training and prevention centers, and the state of Michigan also recently received more than $5.5 million to battle the virus. But is the funding is needed now that the threat is waning? The short answer from local health officials is yes. According to the Centers for Disease Control, “the 2014 Ebola epidemic is the largest in history, affecting multiple countries in West Africa.” Those countries include Sierra Leone, Guinea and Liberia. As of March, Michigan’s health departments have continually monitored more than 100 people who traveled to West Africa for Ebola symptoms. None have been diagnosed with the disease. Hartl said that though the West African threat is ebbing, there is still a need for additional funding and training. Hartl said that the preparations are for Ebola and whatever else may be on the horizon, like avian influenza and Middle Eastern Respiratory Syndrome (MERS). Michigan currently has three tier one hospitals that can identify, isolate, test and treat Ebola patients. One of those is Spectrum Health Butterworth Hospital in downtown Grand Rapids. 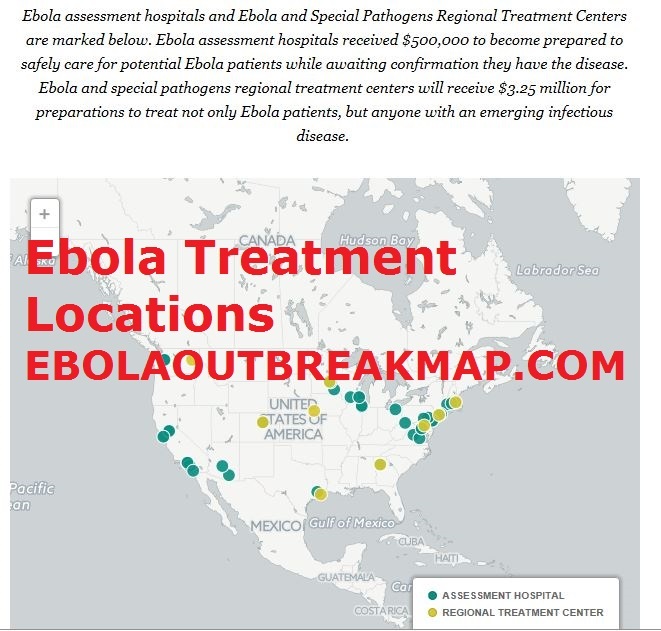 Ebola Treatment Facilities in United States-are also Ebola treatment facilities many other locations may be added to this list. You can also send us in information if you know of more Ebola treatment facilities in the United States.